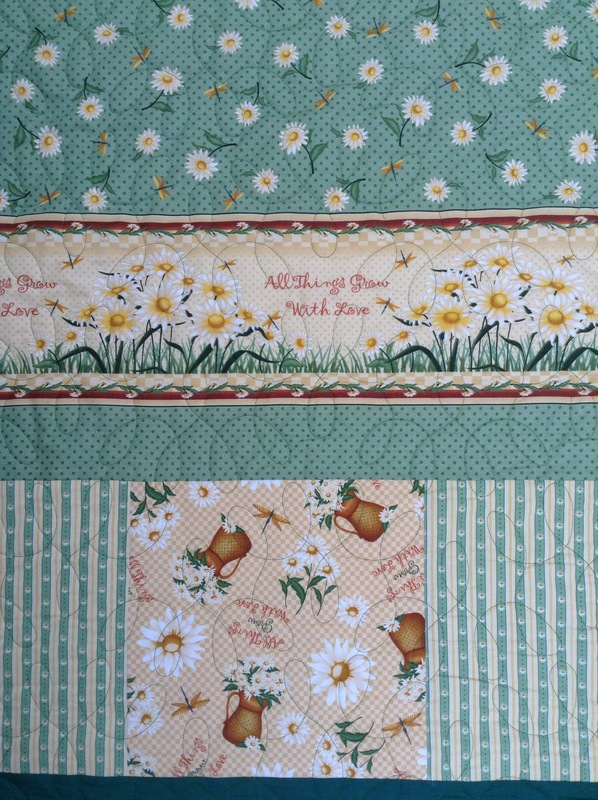 I have so enjoyed working on my little Country Roads quilt from the HumbleQuilts QAL. I really appreciate the time and effort Lori puts in to these. Here is my finished top. 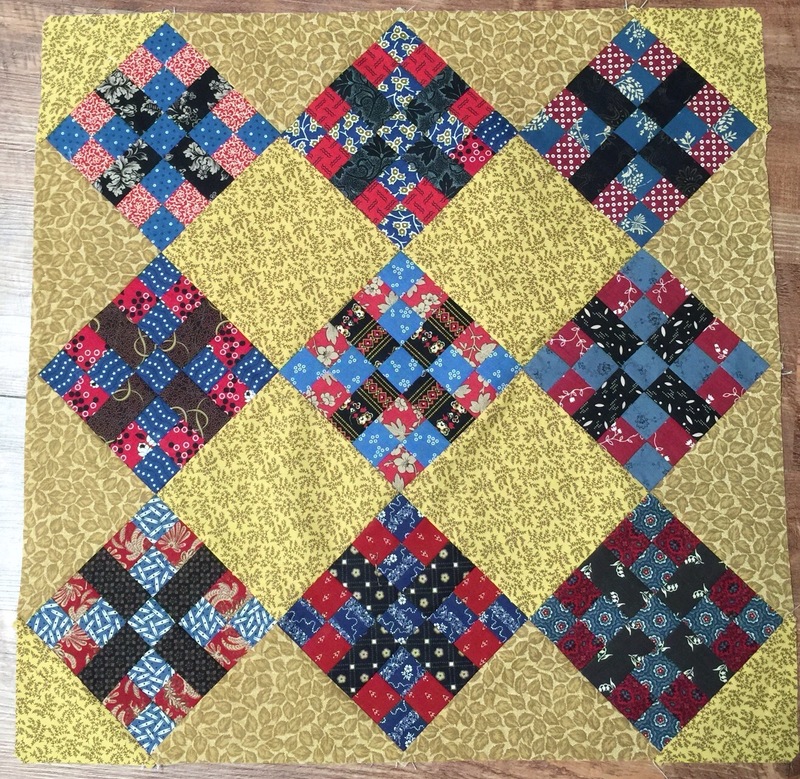 I didn’t have enough of the yellow that I wanted to use so I used something similar in color for the border triangles. I briefly considered adding borders but my eagerness to get to the quilting won out. 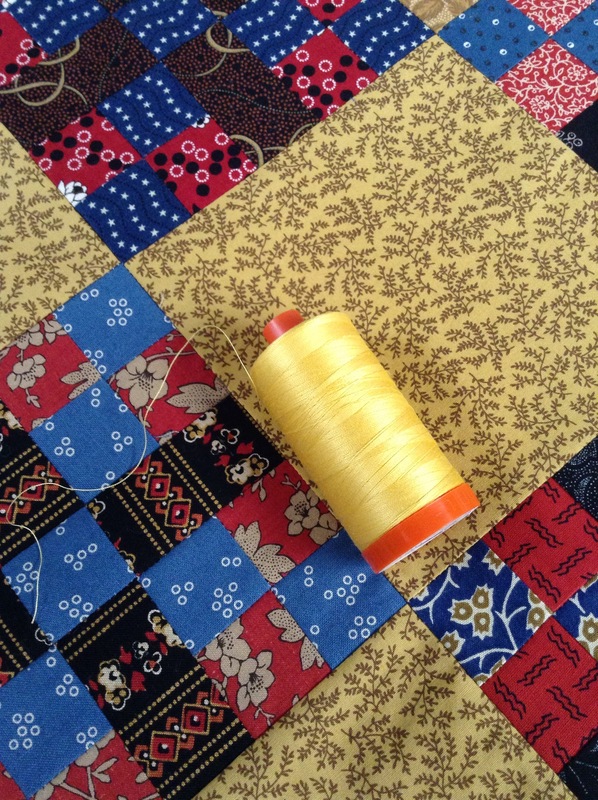 I won a lovely box of Aurifil thread a couple years ago. I love it for hand sewing but my Featherweight isn’t a fan. I decided to try it out in my long arm and it worked great! Yep, back to my stand by grid quilting. I did the lines freehand and I didn’t try very hard to hit the borders of the blocks. It is a humble quilt, after all. After doing the lines one way, I took the quilt off the frame and reloaded it to quilt the lines in the other direction. 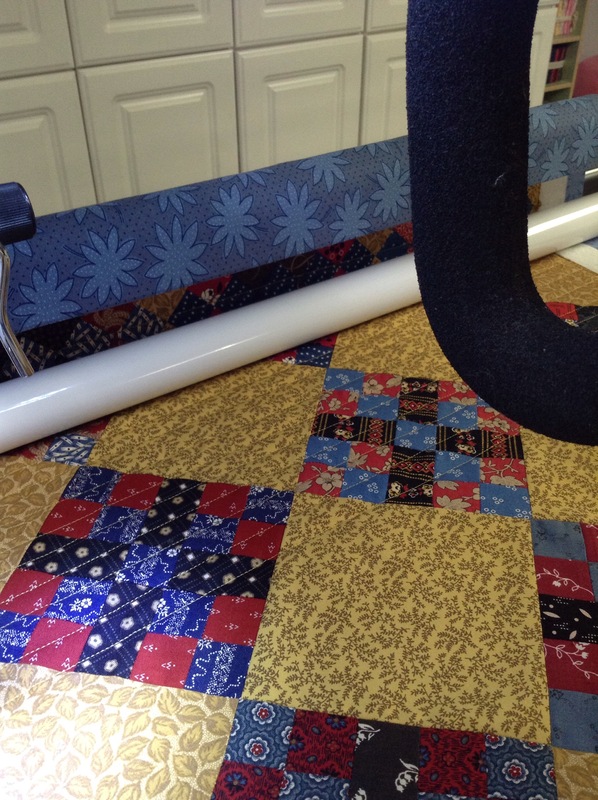 The colors are not true in the picture above but the quilting shows up. Now time to decide on a binding. I really love this block. I’m thinking I might like to make this in a bigger size. I also finished the last comfort quilt. I have lots to do before work today so I best get on with it. I hope you enjoy this last day of September! I really like how your outer triangles are different but so close in color and pattern. 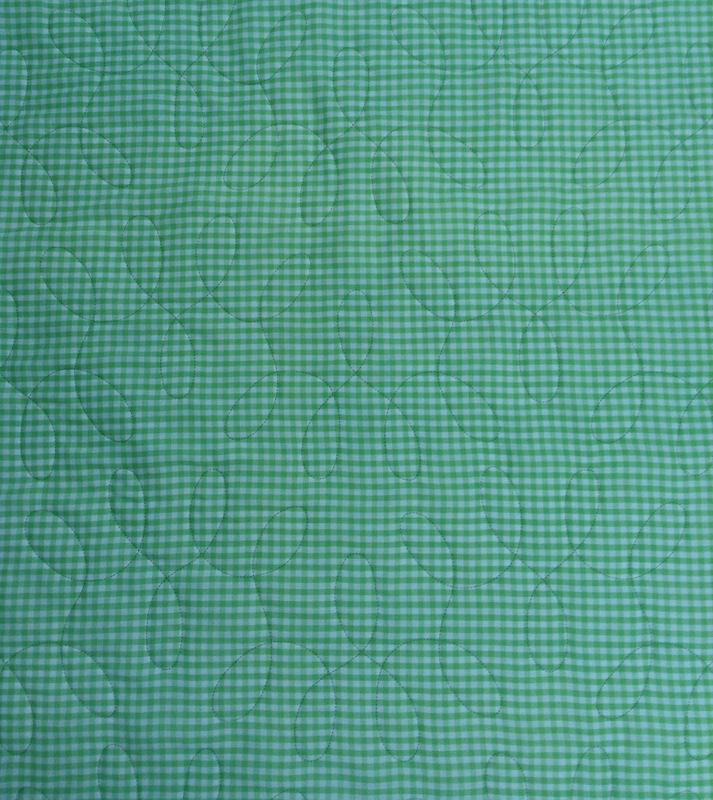 And the grid quilting really suits the design of the quilt. 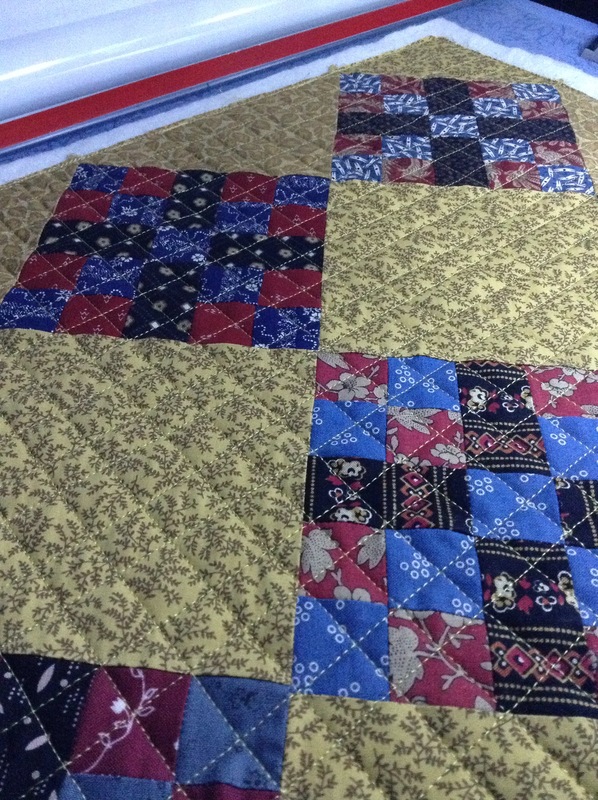 I’m curious–what are the dimensions of the quilt? Your Country Roads is so dear. I always hesitate to start quilts when I don’t know what they’ll look like. (I tried a mystery quilt-a-long once and was disappointed.) Since I’ve seen several finished Country Roads I think I will make one, too. 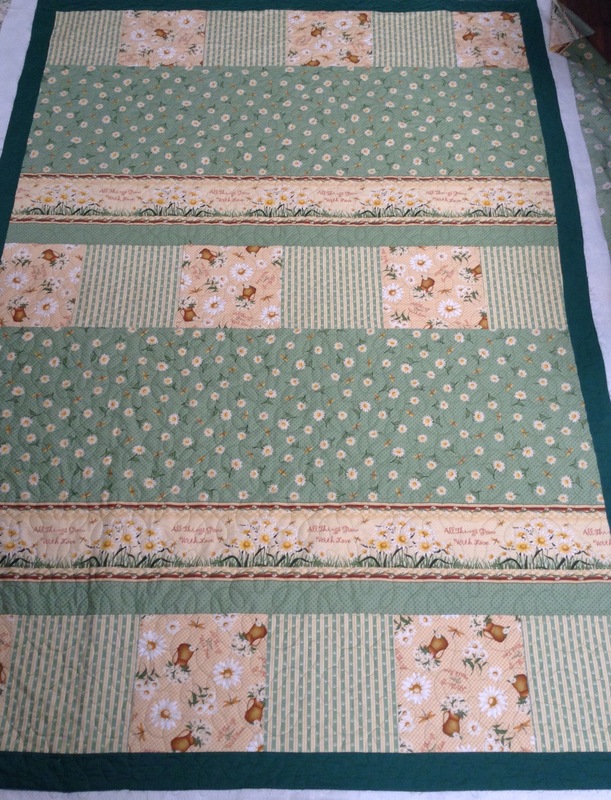 Country Roads looks great, I like the grid line quilting. A great job on the little SAL quilt. I wonder why Aurafil doesn’t play well with your featherweight? That is all I have ever used in mine, with no problems. Beautiful. I like the red for the binding also. The comfort quilt looks just as it name implies. Pretty quilting on it. What fabulous quilting. As always. I’m not participating in the SAL but I like that block, too. Love the quilting! 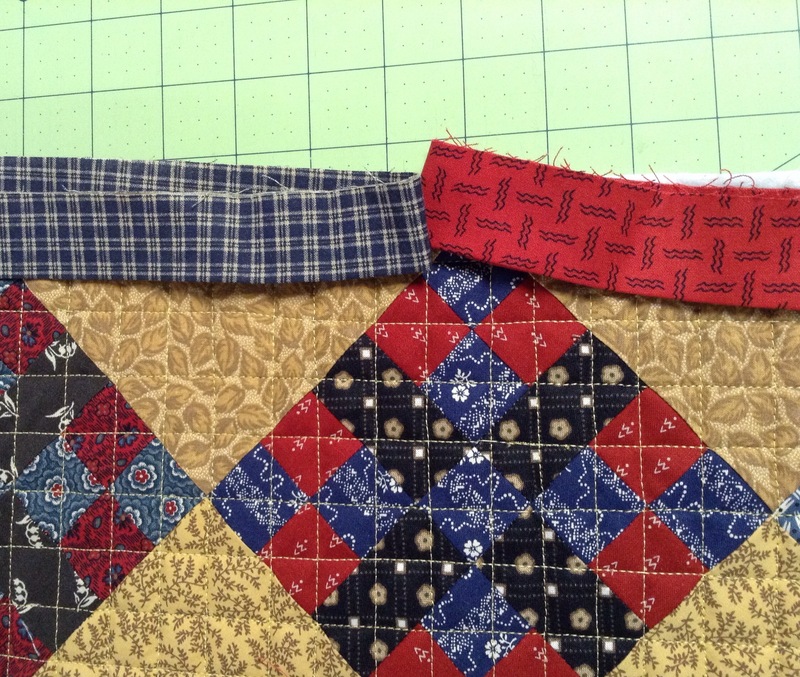 It’s perfect for this wonderful quilt! Your freehand straight lines are pretty good. I’m impressed. I’m torn about which binding to choose, but my first reaction is red.